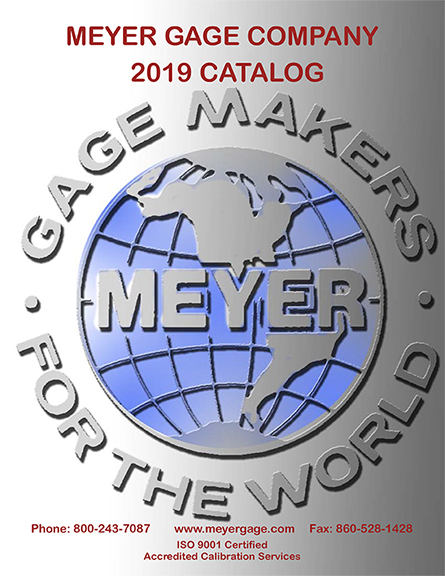 Meyer Gage started making the original ZZ back in 1965. They now have taken the extra step for the better pin gage, Class Z. Introducing the MEYER Z. A closer tolerance (.0001), more accurate and better for your needs. M0M / M0P Class Z English 50 Piece Pin Gage Set 0.0110" to 0.0600"
The M0M / M0P Class Z English 50 Piece Pin Gage Set 0.0110" to 0.0600" is on sale at Gaging.com! NE..
M05M / M05P Class Z English 50 Piece Pin Gage Set 0.0115" to 0.0605"
The M05M / M05P Class Z English 50 Piece Pin Gage Set 0.0115" to 0.0605" is on sale at Gaging.com! ..
C10M / C10P Class Z English 240 Piece Pin Gage Set 0.0110" to 0.2500"
The C10M / C10P Class Z English 240 Piece Pin Gage Set 0.0110" to 0.2500" is on sale at Gaging.com! ..
C105M / C105P Class Z English 240 Piece Pin Gage Set 0.0115" to 0.2505"
The C105M / C105P Class Z English 240 Piece Pin Gage Set 0.0115" to 0.2505" is on sale at Gaging.com..
M15M / M15 Class Z English 190 Piece Pin Gage Set 0.0615" to 0.2505"
M15M / M15 Class Z English 190 Piece Pin Gage Set 0.0615" to 0.2505" is on sale at Gaging.com! NEW ..
M1M / M1P Class Z English 190 Piece Pin Gage Set 0.0610" to 0.2500"
M1M / M1P Class Z English 190 Piece Pin Gage Set 0.0610" to 0.2500" is on sale at Gaging.com! ..
M2M / M2P Class Z English 250 Piece Pin Gage Set 0.2510" to 0.5000"
The M2M / M2P Class Z English 250 Piece Pin Gage Set 0.2510" to 0.5000" is on sale at Gaging.com! N..
M25M / M25P Class Z English 250 Piece Pin Gage Set 0.2515" to 0.5005"
The M25M / M25P Class Z English 250 Piece Pin Gage Set 0.2515" to 0.5005" is on sale at Gaging.com!&..
M3M / M3P Class Z English 125 Piece Pin Gage Set 0.5010" to 0.625"
The M3M / M3P Class Z English 125 Piece Pin Gage Set 0.5010" to 0.625" is on sale at Gaging.com! NE..
M35M / M35P Class Z English 125 Piece Pin Gage Set 0.5015" to 0.6255"
The M35M / M35P Class Z English 125 Piece Pin Gage Set 0.5015" to 0.6255" in on sale at Gaging.com! ..
M4M / M4P Class Z English 125 Piece Pin Gage Set 0.6260" to 0.7500"
The M4M / M4P Class Z English 125 Piece Pin Gage Set 0.6260" to 0.7500" is on sale at Gaging.com! N..
M45M / M45P Class Z English 125 Piece Pin Gage Set 0.6265" to 0.7505"
The M45M / M45P Class Z English 125 Piece Pin Gage Set 0.6265" to 0.7505" is on sale at Gaging.com! ..
M5M / M5P Class Z English 82 Piece Pin Gage Set 0.751" to 0.8320"
The M5M / M5P Class Z English 82 Piece Pin Gage Set 0.751" to 0.8320" is on sale at Gaging.com! NEW..
M55M / M55P Class Z English 82 Piece Pin Gage Set 0.7515" to 0.8325"
The M55M / M55P Class Z English 82 Piece Pin Gage Set 0.7515" to 0.8325" is on sale at Gaging.com! ..
M6M / M6P Class Z English 84 Piece Pin Gage Set 0.833" to 0.9160"
The M6M / M6P Class Z English 84 Piece Pin Gage Set 0.833" to 0.9160" is on sale at Gaging.com! ..
M65M / M65P Class Z English 84 Piece Pin Gage Set 0.8335" to .09165"
The M65M / M65P Class Z English 84 Piece Pin Gage Set 0.8335" to .09165" is on sale at Gaging.com! ..